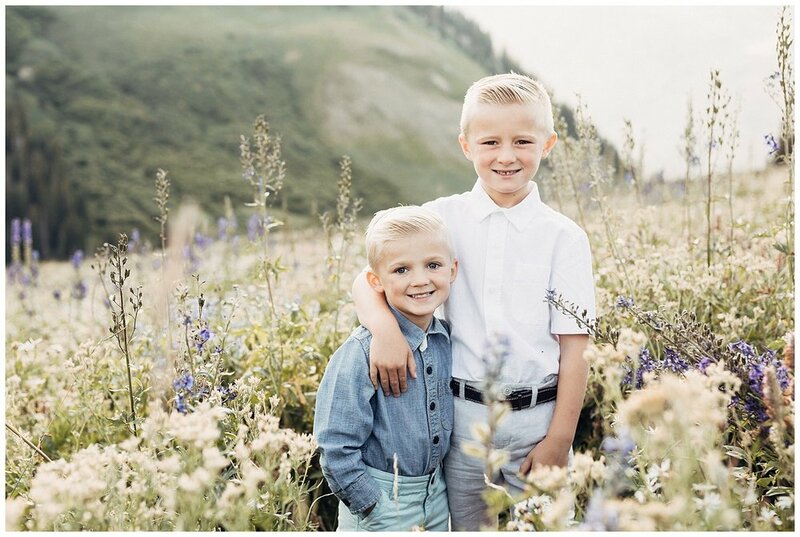 We traded smiles for tic-tacs for these family pictures! And the kids were rewarded with ice-cream after their session. If that doesn't get good smiles, I don't know what will! The wild flowers were in full bloom, and we even had time to stop by a second location full of aspens. I love this Canyon, it never ceases to amaze me. And how perfect is this family? They are the ultimate photogenic family.